Update: The UN and WHO say it’s ‘highly unlikely’ that the refugee had Ebola. “It does not meet the standard case definition for the disease … however precautions have been taken and continue,” says a statement issued by the UN and WHO. 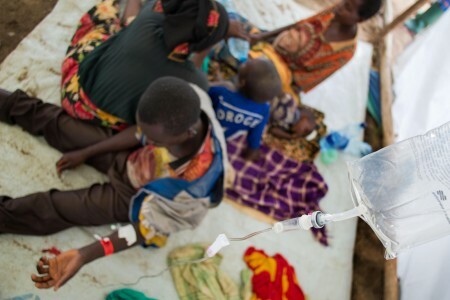 A refugee from overcrowded Nyarugusu refugee camp in western Tanzania has died of a mysterious illness. The Burundian man is reported to have died in Kigoma’s Maweni hospital earlier this week. According to JamiiForum’s editorial website FirkaPevu, the man’s symptoms included external bleeding, which is a symptom of Ebola. Yellow fever, Dengue fever, Lassa virus and Marburg virus — among others — can all cause hemorrhaging. Speaking to FikraPevu, Maweni Hospital’s Acting chief medical officer Shija Ganai says that as a precaution, medical staff have followed strict Ebola quarantine procedures. Samples have been collected and are being tested to determine the nature of the man’s illness. Nyarugusu refugee camp, near Kigoma, is currently home to over 140,000 refugees. The camp was designed to hold 50,000.